There have been more Google changes than ever lately. It’s too soon to know for sure which of the changes will stick and if the latest rebranding of Google Adwords to Google Ads was a good idea. 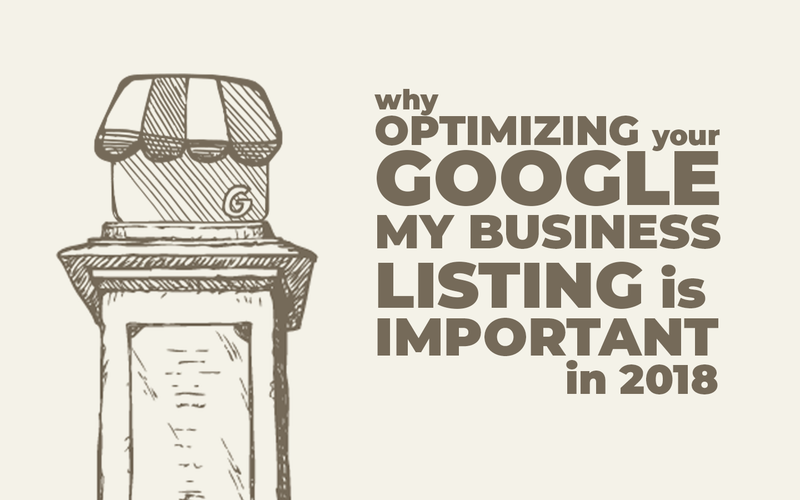 However, one thing is certain, now more than ever you really can’t afford to ignore optimizing your Google My Business Listing. That’s because in the last year Google continues to tinker with the amount of information you can share about your business in your free Google My Business listing as well as increase your opportunities for free interaction with your customers either within your listing in Google search, within your listing on Google Maps, or both. 1. Google My Business listings are 100% Free. Google absolutely does not charge you a fee to claim and verify your business listing. 2. Follow Google’s guidelines for Google My Business. 3. Don’t worry if you discover somebody else has claimed and verified your business on Google. However, don’t ignore it either. There are steps you can take to get your Google My Business listing back and help fight spam on Google Maps and other Google services. 4. If you or somebody else discovers there are duplicate Google My Business listings, you can fix it. 5. If Google suspends your listing, it’s not gone forever. There’s help, and you can usually get it reinstated. Google will never tell you why they suspended your listing, so you have to do your own detective work, especially if your listings keep getting suspended. 6. Don’t forget your NAP – no don’t sleep! Make sure your Business Name, Address, Phone number, and website URL are all correct, consistent, and match everywhere online including on your website and any other online listings. You probably know that customers searching for the products and services you provide are using Google’s popular search engine or the Google Chrome browser to find them and to find your website. Your customers also often use Google Maps to find directions to your business, but they’re also using Google Maps to find suggestions on things like places to eat, shop, and get services like auto repair. However, you may not know that increasingly, your customers are finding and interacting with your Google My Business listing online via the knowledge panel in Google Search and on Google Maps. The Google knowledge panel is one way your Google My Business listing gets displayed to customers when it shows up in their search results on Google. In a Google search, your knowledge panel might show up to the right of search results, especially when a customer performs what marketers call a “branded search,” in other words when they search for your company by name. Your business listing can also turn up in the Google top 3 local results, also known as the “local pack.” When they click on your result in the local pack, your listing appears. In addition, when they click on a result in the local pack, a list of more local businesses who provide the product or service they’re searching for will also appear. Click on any business in those results, and their knowledge panel, in other words, their local listing will appear. Potential customers can find your listing on Google maps by searching for products and services your company provides or by searching for your business by name. They can also see your listing by clicking on your location directly on the map in Google maps. How your listing appears on Google Maps is slightly different from how it appears on Google Search, but most of the ways people can interact with your business are the same on both platforms. No matter how a person finds your local listing, one of the first places they’ll look to decide if they want to visit your business is your Google reviews. In fact, 69% of people say they won’t visit a business until after they see the online reviews, and 85% trust online reviews as much as they do when a friend or family member recommends a company. Plus, as a business owner, you can respond to the Google reviews your customers leave. Like your Google reviews, Google Questions and Answers, (Q&A) also appear on your listing on both Google search and Google Maps. With most features that appear in your business Google Knowledge Panel, you can post and respond to customer generated content via your Google My Business dashboard. Unfortunately, although Google Q&A appears as part of your Google listing, you won’t get any notifications via your GMB dashboard or be able to answer customer questions there. Instead, you must log in to Google Maps to see any notifications and to answer them as well. We’ll cover why you need to monitor these in the next section. The last way customers can interact with your Google listing is to suggest edits. Although they might not visit this section first when deciding to do business with you, they might go there if they discover your business has moved, or if your hours are different from what you posted to suggest a change. Google claims they email business owners about edits, but that’s not always true. It used to be that all you had to do as a small business owner when it came to your Google My Business account was claim and verify your listing, maybe write a short description, and then respond to your reviews. Over the past year, all that’s changed, at least for now. As we’ve already mentioned, Google started testing and adding several new Google My Business features between early 2017 and the summer of 2018 that make verifying and monitoring your Google listing more important than ever. Here are the essential features you need to monitor and use now to ensure your listing is optimized and accurate. When you click on the link above, you’ll find a lot of information about GMB description guidelines and how to write a good description. Don’t make them too long, and don’t pack them with keywords, Just write a summary of what your business does and what benefits a customer gains by doing business with you. The description is a snapshot of your business and is often the first piece of information a person reads before they look at your reviews. When trying to choose between your business and a competitor with similar reviews, your well-written description might be all it takes to get them to choose yours. We’ve all heard the saying that goes something like, “people do business with people they know and like,” and one of the ways you can help customers get to know you and your company is through good quality photos of your business, you, your employees, and of happy customers, as well as products. They don’t want to see stock photos or just your logo. If you work in an industry such as sewer repair where the services you provide aren’t exactly photogenic, you can still include photos of your workers, and your customers after you solved their problems. Oh and like reviews, edits, and Q&A, anybody can add a photo to your business listing. Google designed this feature so your actual customers can add photos of your business and of the results of the services you’ve provided for them. But again, like with other user-generated content, you want to keep your eye out for the photos other people post to your listing in case someone posts a photo that has nothing to do with your business or that violates Google’s policies. The Google Q&A feature is impressive, but also still has the same notification problems it’s had since Google rolled it out. Another problem with this feature is a competitor, unhappy customer, disgruntled employee, or online troll might exploit it by posting false answers or a question and an answer that’s full of foul language and misleading information about your business. Another concern is well-meaning customers might inadvertently post the wrong answer to a customer question about your business. Right now some industries get more questions than others, but as knowledge of Google Q&A grows, more consumers, as well as more trolls, could start to utilize them. My advice is to monitor them daily and respond to any customer questions as well as using Q&A to post frequently asked questions with answers (FAQ) about your business. I have great news! Only you can create Google posts that post to your business listing! However, if you’re not using them, you’re missing out on a great way to build relationships with your customers and provide information about things like upcoming promotions and new product specials. Plus, Google posts appear in your knowledge panel right on the search results page. They’re short blurbs of text that can include an image or even a video as well as a call to action button that can link to your website or a landing page. This newish feature that you may or may not even know exists is already being exploited by a company owned by Constant Contact called singleplatform. Google doesn’t care and even allows them to do it, and if you don’t take steps to remove the link, you could be losing leads to competitors because of it. The service menu feature allows you to add things like the services your business provides or a menu of items available at your store or restaurant. You access the feature via your Google My Business dashboard and add them there as well as a URL to the service, product, or menu page on your company website. If you don’t monitor this feature or didn’t opt in, you might discover that singleplatform has added their link to your listing and that any potential customers who click on it are entering their information there instead of directly on your website. When you go to singleplatform, they tell will only give you your leads if you pay a subscription fee. Google won’t remove the link for you because they have an agreement with the company that allows them to post their link to Google My Business listings. Instead, you must ask singleplatform to remove the link, and then you must go into your dashboard and manually replace the link with your service page URL. If you don’t ask singleplatform to remove their code on their end, their link could replace your replacement link, and you’ll have to start over. Google now has a new Bookings feature that is currently only available to businesses in the beauty and fitness industries who use one of Google’s preferred 3rd party booking vendors. It’s similar to a feature that’s been available for a while now to businesses in the travel and hospitality industry within local listings via a third party. If you’re in one of these industries, and you don’t want to use a vendor at all, and you see a link to book directly on your listing, you must first ask the 3rd party vendor to remove it just as you would for singleplatform. It can be tempting to post an angry or defensive response to a bad review or to ignore your positive reviews. However, it’s vital that you respond to all reviews calmly and professionally. Remember, your reviews are about showcasing your care for all your customers, not about defending your business or arguing with customers you disagree with. Doing that could damage your reputation and turn potential customers away. We have a lot of information on responding to customer reviews, including a complete guide on how to respond to them. Small Thanks is a little-known feature in Google My Business that allows you to print out posters featuring customer reviews as well as create images you can share on social media or as a Google Post. Remember, at the beginning of this article, we mentioned how 85% of people trust online reviews as much as they do recommendations from people they know. By using Small Thanks to amplify the powerful word of mouth messages your happy customers leave in their Google reviews, you can highlight your positive reviews visually right on your listing. Anyone at all can even label your business as permanently closed. All of these changes could happen and be approved by Google without your knowledge or prior approval. That’s why if you can’t monitor and manage your Google listing yourself, you should hire someone to do it for you. We’ve covered a lot. When I was looking back over all the changes Google has made over the last year and a half to their Google My Business service, I was amazed. We’ve covered most of the new features here at BizIQ, but to gather all the key features a small business needs to use and monitor was eye-opening. If you’re a small business owner, I can understand why you’d decide just to ignore most of them and hope for the best. But that’s not the best approach. Many of the features have some to a lot of SEO value, meaning optimizing them can help potential customers find you in regular Google search results in addition to helping you interact with customers online. So, before we go, let’s take a look at some of the key benefits of monitoring and using the new, and in some cases not so new, Google My Business features. 1. Interact regularly with current and potential customers before they even visit your website or pick up the phone to call you through features like Google Q&A, Google Posts, and your business description. 2. Improve your ranking in Google search results, in other words, help your SEO efforts. 3. Show potential customers your excellent customer service and that you resolve problems calmly and professionally by responding to reviews and by creating Google Posts through Small Thanks. 4. Prevent competitors from posting false or misleading answers to customer questions, and identify and flag malicious reviews from competitors so that Google will remove them. 5. Prevent con-artists from claiming/transferring ownership of your listing and then using it for lead gen or to spam or scam people under your business’ name which could result in a suspended listing and a damaged reputation for your business. For a free service aimed at small businesses, Google now offers a lot of features and choice. Some of them are easy to understand, and others take time and experience to understand. If you have questions about anything in this article, or you need help verifying your Google My Business listing, we can help. Click on the green chat popup in the bottom right corner to chat with a live marketing expert online.